Impasto is Italian for "paste." I create these paintings with Liquin impasto medium and they are painted with either a palette knife or with a mylar cone filled with paint, or both. I will eventually be linking these to my Etsy shop when I get it up and running, because one picture really doesn't do them justice... it's all about the texture. 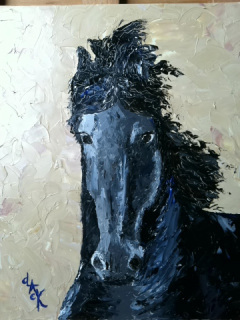 Black Fresian Stallion knife-painted in a textured impasto style on 11 x 14 Masonite type panel. Knife-painted impasto on 8 x 16" canvas. 11 x 14 knife-painted, textured impasto. I painted the edges with great care on this one so it's optional to frame it. 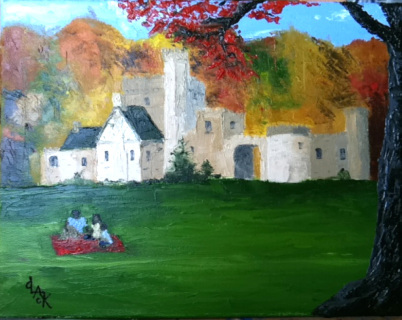 This is a Metroparks castle where I often played as a child. If you'd like to read more about the castle and see the in-progress photos, visit its WIP page. These are done with a technique of my own devising. I use a cellophane henna cone and thickened paint to pipe designs (think cake decorating, sort of) onto a prepainted canvas. Each one of these comes with a little display easel, unless otherwise specified. 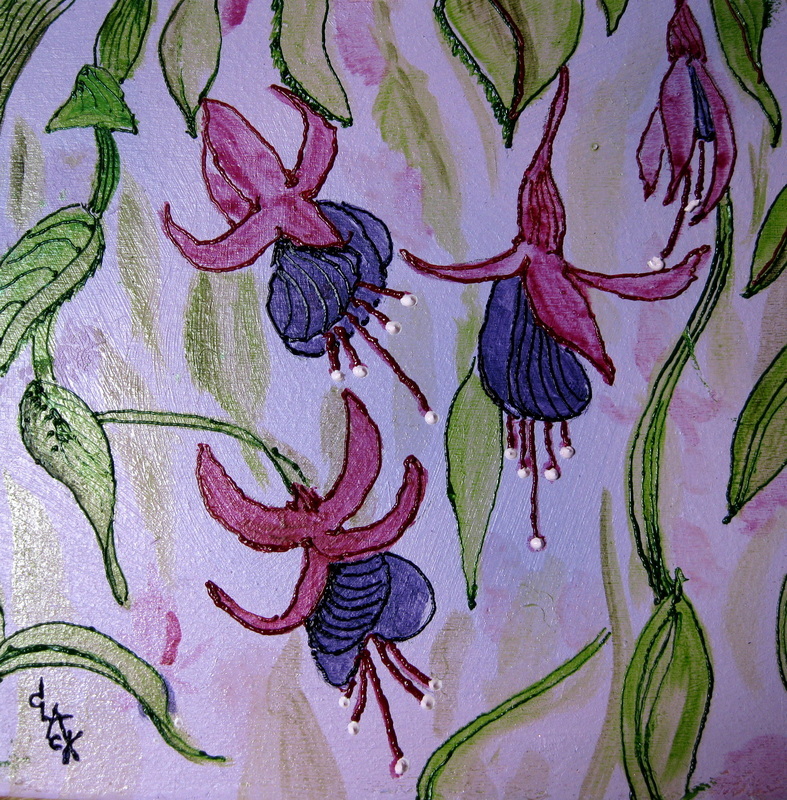 They can also be framed (I'm hoping to find some miniature frames to offer for sale here). 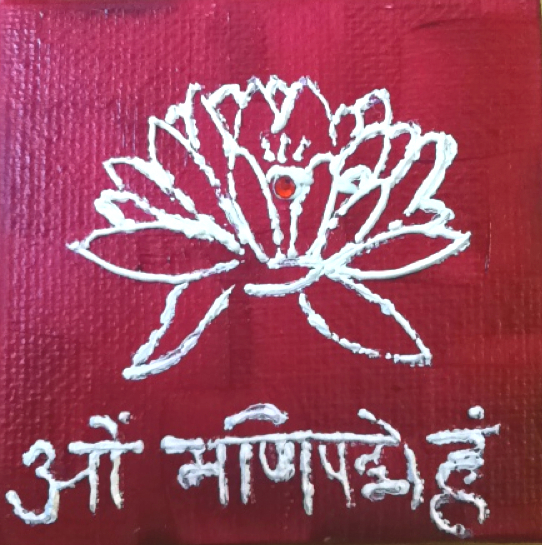 Mehndi impasto technique on 3x3 canvas, a lotus with a sparkling Swarovski crystal jewel. Beneath in Sanskrit it reads, "Om mani padme hum." Oil henna impasto on hardwood panel, 4x4.